“We can make progress in medicine only if people are willing to put themselves at risk to test new diagnostic and therapeutic approaches. The abrupt termination of the Sanofi Phase III trial of Fedratinib brought affected myelofibrosis and related blood cancer patients together into the Zebra Coalition to seek safer, more participative clinical triails. The Sanofi trial resulted in death and severe injury. One effect of marginalizing the patients’ role in their own clinical trials is the drug continued to be administered fully six months after it was identified as causing Wernicke’s encephalopathy. This unanticipated severe adverse event was apparently missed as an element in an unfolding pattern across the clinical trial sites. This might not have happened if we had a Patient Advocate monitoring the conduct of myeloproliferative neoplasm clinical trials. While the Sanofi trial is the most dramatic and recent problematic clinical trial, patients have long complained about inadequate input into clinical trials and the absence of information about SAEs anticipated or not. 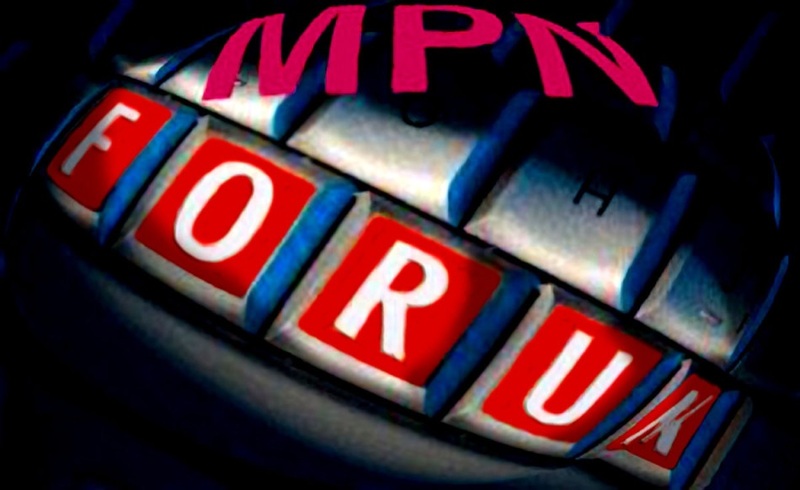 The Zebra Coalition, a group of patients and caregivers, with the support of a volunteer patient magazine, MPNforum, organized to help bring about a Patient Advocate on every MPN trial. The need for a Patient Advocate is recognized by the FDA in its Guidance for Data and Safety Monitoring Boards or Data Monitoring Committees. These committees operate at the Sponsor level. What we’re seeking to do is make the PA an integral part of the clinical trial process operating at the study site and patient level. Clinical trials of INDs are necessary — and will likely be for some time — to bring effective medicine to bear on our intractable disease. It’s in everybody’s interest to rebuild patient confidence and strengthen the clinical trial system. Can you help us start the conversation by convening a meeting at the FDA of stakeholders – sponsors, institutions, investigators, trial managers, and patients — to explore broad areas of agreement and means to strengthen safety and patient welfare in the clinical trial process through patient advocacy? 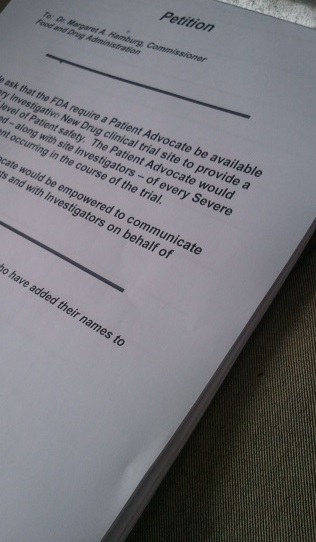 Enclosed is a petition signed by over 526 members of this small blood cancer community. Could you kindly tell me a time we might talk about this initiative?